Born on July 29, 1947 in Bryn Mawr, Pennsylvania, Michael Pedicin (Jr.) came up on the Philadelphia jazz scene in the early 1960s. The son of popular Philly saxophonist/bandleader Mike Pedicin, Sr. (who scored an early rock ’n’ roll hit in 1957 with a cover of Joe Morris’ “Shake a Hand”), he was immersed in music from birth, though he quickly staked out a different path from his father. Rather than discouraging his son, he made sure he had the best teachers, eventually bringing him to Buddy Savitt, a bebop-steeped tenor saxophonist who had replaced Stan Getz in Woody Herman’s Second Herd. Widely hailed around Philly as a rising young player, Pedicin briefly studied music theory with legendary teacher Dennis Sandole, whose previous students included Coltrane, James Moody, Jim Hall, and Pat Martino (with whom Pedicin toured internationally from 2003-06). While accepted to Juilliard, he decided to stay in Philly and graduated as a composition major from the University of the Arts. By the early 1970s he was a fixture in Gamble and Huff’s Philadelphia International Records, contributing alto, tenor, and soprano sax work on hundreds of sessions with the likes of Lou Rawls, the Spinners, the O’Jays, David Bowie, and the house MSFB Orchestra. At the same time, he played regularly in local jazz clubs, but after several years as a first-call studio cat, Pedicin was itching to flex his jazz chops. At the recommendation of Peter Erskine, he got the call from Maynard Ferguson, who gave Pedicin his first extensive experience out on the road. While the saxophonist considered Ferguson “a fantastic bandleader and mentor,” his distaste for touring brought him back home, and he re-immersed himself in the studio scene. Also drawn to the healing arts, he started to attend medical school several times, only to quickly be drawn back to music. He spent much of the 1980s working in Atlantic City hotels and casinos, contracting bands and accompanying stars like Frank Sinatra and Tony Bennett. 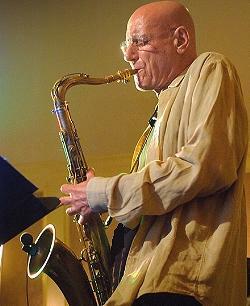 At the same time, he was teaching at Temple University, and put in a two-year run with Dave Brubeck. All the while his interest in medicine never completely waned and he made a final run at med school in 1990. Eventually, he earned a Ph.D in psychology from the Philadelphia College of Osteopathic Medicine, which led to a small practice specializing in helping creative people. He’s also maintained a hand in education, serving since 2008 as Professor of Music and Coordinator of Jazz Studies at the Richard Stockton College of New Jersey. While it’s tempting to link the emotional vitality of his music to his specialty in exploring the psyches of fellow artists, Pedicin demonstrated a gift for communicating deep truths through his horn long before earning a doctorate. The new authority of Pedicin’s playing stems from giving his muse free rein and surrounding himself with exceptional musicians. Jazz is an art form in which second and third acts abound, and tenor saxophonist Michael Pedicin (Jr.) is making the most of his late-career creative surge. A passionately soulful improviser, the New York City-based Pedicin has released a series of scintillating sessions in the past six years, and Why Stop Now. . . Ubuntu, on his GroundBlue label, reconfirms his status as a top-tier post-bopper distinguished by rare poise and maturity. While technically accomplished, his music reflects his singular career path, a circuitous creative journey that wends through Philadelphia’s modern jazz scene in the 1960s and sidesteps into an R&B phase with Philadelphia Sound hit-makers Gamble and Huff. Along the way he spent two years with Dave Brubeck, founded Temple University’s jazz studies program, and detoured through several med school stints that culminated in Pedicin earning a doctorate in psychology.